In a joint statement unanimously adopted by the bloc’s ambassadors on Monday (4 February), the EU voiced its concerns over Iran’s recent ballistic missile launches and called on Tehran to put an “immediate end” to its “unacceptable behaviour” or risk destabilising the region. The joint conclusions on Iran had been held up due to internal disputes. According to EU diplomats, Spain, among others, had voiced discontent over being excluded from talks on Iran and Yemen. 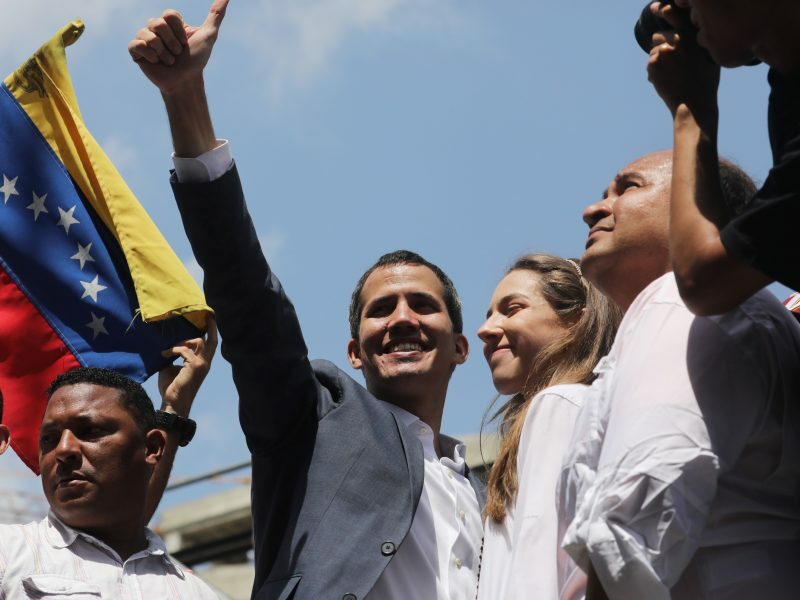 On the same day, EU member states had struggled to find a unified line to recognise Juan Guaidó as Venezuela’s interim president after President Nicolás Maduro ignored a demand to call new elections. Over the weekend, Tehran announced the “successful test” of a new long-distance cruise missile with a range of over 1,350 kilometres during celebrations marking the anniversary of the 1979 Islamic Revolution, state television reported. “The test of the Hoveizeh cruise missile was carried out successfully at a range of 1,200km and accurately hit the set target,” the country’s defence minister, Amir Hatami, was quoted as saying after its launch. “The Council is […] gravely concerned by Iran’s ballistic missile activity and calls upon Iran to refrain from these activities,” the EU said in a rare joint statement on Iran. Since agreeing to the 2015 nuclear deal, Iran has expanded its missile programme despite warnings from the United States and European countries. In January, the country unsuccessfully tried to launch a satellite into space. Tehran should cease work on missiles capable of delivering a nuclear weapon, the EU said in reference to UN Security Council resolution 2231. In its provisions, Iran is “called upon” to refrain for up to eight years from such development work. 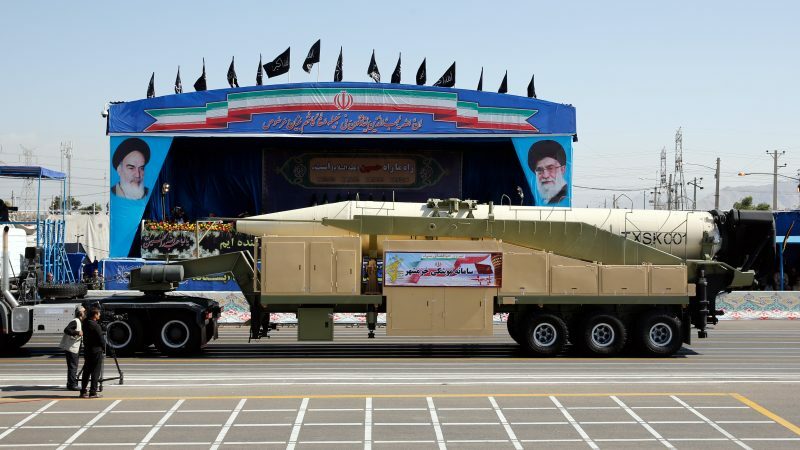 The Iranian government says the programme is purely defensive and that its missile tests are not in violation of the resolution, denying its missiles are capable of carrying nuclear warheads. In the 12-point statement, the EU, however, restated its commitment to saving the 2015 landmark nuclear accord. US President Donald Trump quit the deal in May and reimposed sanctions on Iran that had been lifted in return for Tehran curbing its nuclear programme. 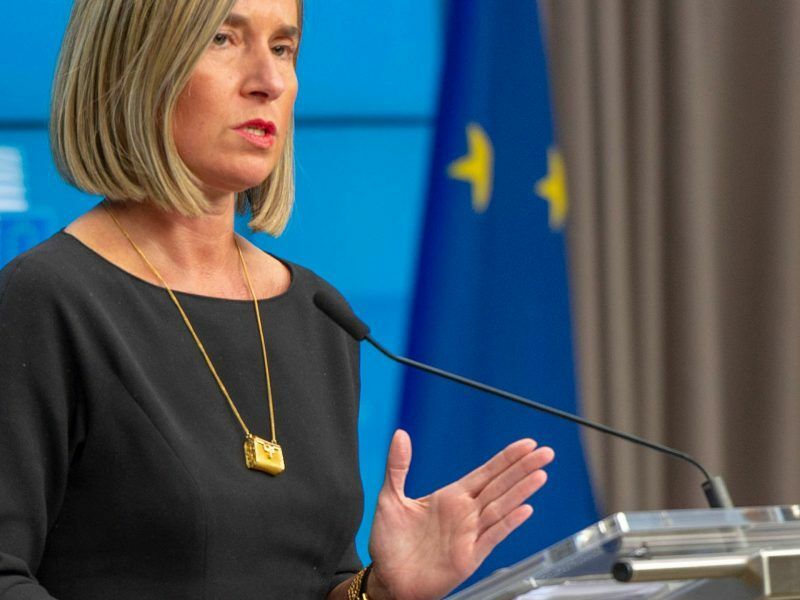 In response to a question about the importance of the nuclear deal for the EU, the bloc’s foreign policy chief, Federica Mogherini, said during a January meeting that the EU28 is sticking to what has been dubbed the EU’s “two track approach”. She added that the aim is “to preserve a nuclear agreement that has so far been implemented in full, as certified by the International Atomic Energy Agency in 13 consecutive reports”. In their statement, EU ambassadors also expressed concern at the “growing tensions in the region and Iran’s role in this context, including the provision of military, financial and political support to non-state actors in countries such as Syria and Lebanon”. In Yemen, where Iran has for years been accused of supporting Shi’ite Houthi rebels to counter a Saudi-led military coalition, Tehran and all other parties in the region should “constructively work towards a lasting political solution to the conflict under UN leadership”. The bloc’s representatives stated that the EU is “deeply concerned by the hostile activities that Iran has conducted on the territory of several member states” while it urged Iran to immediately end its “hostile” activities on European soil. In January, the EU imposed sanctions on Iran’s intelligence services and two Iranian nationals suspected of assassination plots against regime opponents on Dutch, Danish and French territory. The UK, France and Germany last week launched the so-called INSTEX system to facilitate non-dollar trade. The instrument is meant to serve as a bridge to allow European companies to trade with Iran despite US sanctions. 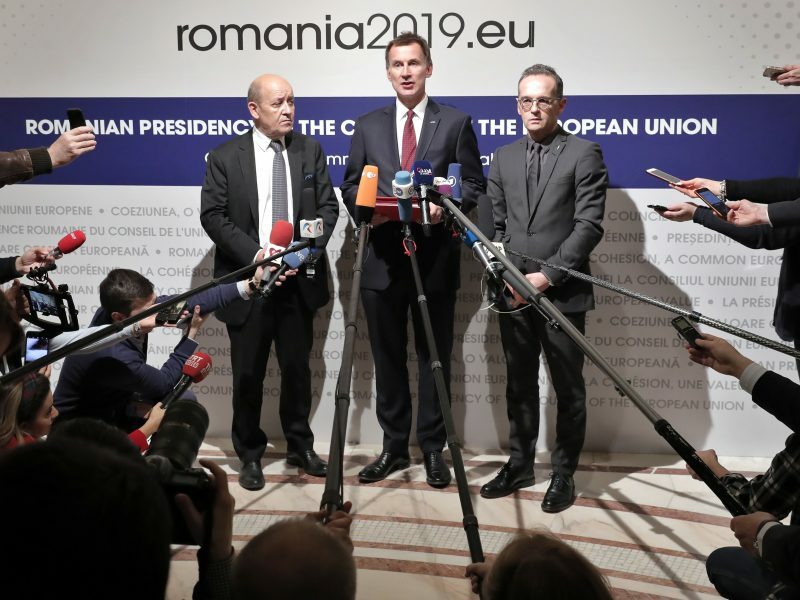 According to the declaration of intent issued by the three foreign ministers, they are to be joined by other EU member states as soon as the financial instrument has started to operate. It is, however, unclear whether the instrument will be put into practice as Iran’s top judge has indicated that the system’s conditions are “unacceptable”, an Iranian news agency reported on Monday. A US-initiated Middle East summit to be held in Warsaw next week will serve as another test of EU-Iran relations as Tehran has dismissed the meeting as a “desperate anti-Iranian circus”. Mogherini’s confirmed non-attendance has only added to recent reports that several EU foreign ministers are holding off confirming their own participation in the Warsaw summit. The EU has done everything to oppose and overturn US attempts to contain Iran. Now it objects? The EU has a lot to learn if it really wants to be a geopolitical force in the wider World. Without a nuclear warhead these missiles fall into the category of oversized fireworks. One significant problem coming down the track for Iran is climate change, specifically the gradual drying out of the country. Action so far by the current government is minimal & money is still being spent on…. well over-sized fireworks &/or military interventions aimed at making Saudi Arabia feel uncomfortable. Ultimately? Large parts of Iran & most of the Gulf States (+ Saudi) will become uninhabitable. One hopes that they do not think that when this time arrives (trust me on this: it will) they will be able to tootle off to Europe. As Sarah Palin never said: fry baby – fry – that will be the option. Unless some classified intel, it does not seem these missiles can carry nuclear heads. These missiles are a variation of the Russian Kh-55 for ground deployment and with alternative engines that require explosive compartment to be smaller.. that is, no nuclear heads possible as the Russians intended on theirs. The EU should refrain from making these vague, yet strong, statements calling wolf since they undermine their trade policy on Iran. If Iran has violated the terms on developing a missile specifically for nuclear heads or conducting enrichment for war grade research that should be strongly denounced and the deal cancelled. Developing a simple missile is, however, within Iran’s rights. Could this missile be used to deliver nuclear heads? Well, technically yes, but not effectively. A drone, or simple airplane could do a dirty nuclear bomb too, or even a car or a donkey… are we going to ban these too? Let’s call wolf, where there is one. What I am afraid is, when it comes to missiles, the EU listens solely to the US input but the EU trusts its own intel when it comes to the Iran deal concerns; therefore the confusing message it gives. Forgot to mention, Saudi Arabia proudly displayed the, far more worrisome DF-3A missiles since these have more versatility to be remodified to carry nuclear heads… where is the international outrage? And the Saudis can easily gather these heads from cash starving Pakistan!